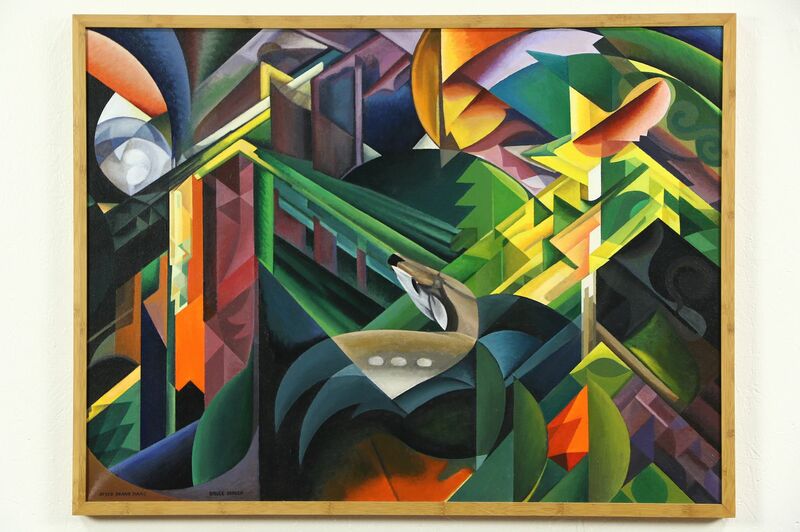 This boldly colored painting is after the original "Deer in a Monastery Garden" by Franz Marc, painted in 1912. This adaptation in acrylic paints is by Bruce Bodden in 2016 is on the same size canvas, 40" x 30." A photo of the famous original from the German Expressionist movement "Der Blaue Reiter" or The Blue Rider movement is on the back. The custom frame is bamboo with dovetailed corner joints. Overall size of this work of art is 41 1/2" wide, 31 1/2" tall and almost 2" deep.